by Frisch, Noreen Cavan, Frisch, Lawerence E.
Comments: ALTERNATE EDITION: W/CD; Instructor's Edition, New and in great condition with no missing or damaged pages. Need it urgently? Upgrade to Expedited. In stock and we ship daily on weekdays & Saturdays. 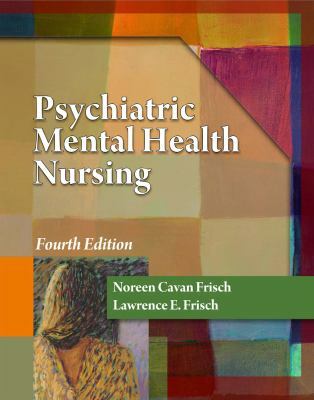 Frisch, Noreen Cavan, Frisch, Lawerence E.
Frisch, Noreen Cavan is the author of 'Psychiatric Mental Health Nursing', published 2010 under ISBN 9781435400771 and ISBN 1435400771.